Authorities executed a search warrant to swarm the home of the South Jersey couple a homeless man has accused of withholding close to a half-million dollars in GoFundMe cash. As first reported by Philadelphia’s WPVI-TV, investigators were seen raiding Kate McClure and Mark D’Amico’s home in Bordentown Thursday morning. Authorities were reportedly seen removing bags of items from the residence. A black BMW was also reportedly towed. The Burlington County Prosecutors Office has since confirmed the search was related to allegations levied against the couple by a homeless vet. The move comes one day after Superior Court Judge Paula Dow ordered the couple to appear in court next week with a full accounting of the funds they collected for Bobbitt. Bobbitt filed a lawsuit against the couple last month. Philadelphia attorney Chris Fallon, who is representing Bobbitt, has alleged the couple spent a large portion of the donations on gambling, lavish trips, shopping sprees and a BMW. The allegations were used as a basis for obtaining the search warrant, which generally requires a lesser standard of proof than an arrest warrant. No criminal charges have been filed against McClure or D’Amico. 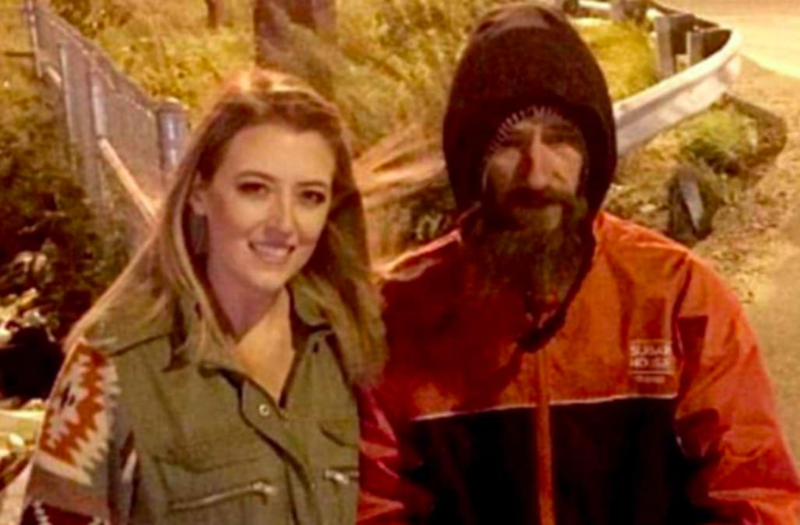 The highly-publicized fundraiser was started by McClure last year after Bobbitt, a 34-year-old former Marine, gave his last $20 to her when she ran out of gas on I-95 outside of Philadelphia. The site raised more than $400,000 dollars, which, according to the description for the fundraiser, was to be used to get Bobbitt an apartment and vehicle. He claims he only received $75,000. The couple has denied any wrongdoing and say Bobbitt received $200,000 and that $150.000 remains in an account established for him. However, after an Aug. 29 court proceeding, the couple reportedly failed to meet a 48-hour deadline a judge gave them to turn over any remaining funds to Bobbitt. His lawyer says he’s been told the money is gone. While it’s unclear where the bulk of the $75,000 Bobbitt allegedly received went, he has admitted to spending some of the money on drugs, Forbes reported. According to Philadelphia’s WTXF-TV, Bobbitt is in a 30-day treatment program.